Cisco expanded its 7000 series to include the 7300 series routers to provide flexible service options at the network edge. You’ll be able to push IP and MPLS services through your entire deployment, especially when operating enterprise campus gateway applications. Operators rely on refurbished Cisco 7300 series routers to enable high-end networking capabilities and carrier-grade management across a wide range of deployments and applications. Models offer flexibility, even working as high-end CPE routers for enterprise-class services. You’ve found a top router option for deploying today’s leading intelligent, multi-gigabit network edge applications. When you choose a Cisco 7300 router from us, you get the exceptional quality you’ve come to expect from Cisco plus the customer service you’ll need and enjoy from Worldwide Supply. We’ve thoroughly tested all of the units we sell, bringing them up to OEM standards. 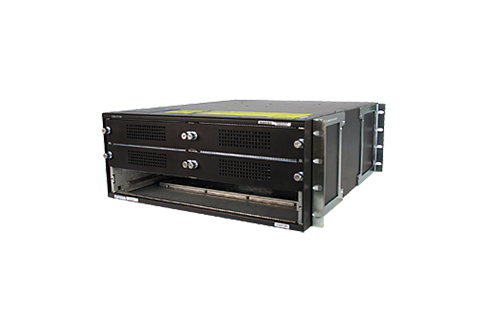 So, your new or refurbished Cisco 7300 series router will offer multi-gigabit backplane capacity as well as support for top Cisco tools such as Network Address Translation, QoS management, traffic shaping, integrated firewalls and Network-Based Application Recognition. Each model features built-in Gigabit Ethernet (optical or copper) ports supporting Cisco 7000 series port adaptors, so they deliver best-of-breed performance for IP and MPLS services through adaptive network processing. Unit selection also provides options for compact 1RU high-performance routing or the broader 4RU routing with processor redundancy. End-of-life dates from Cisco now mean you’re able to get a leading network edge support tool with a standard lifetime warranty from us. You’ll save on this investment and position your network to grow.